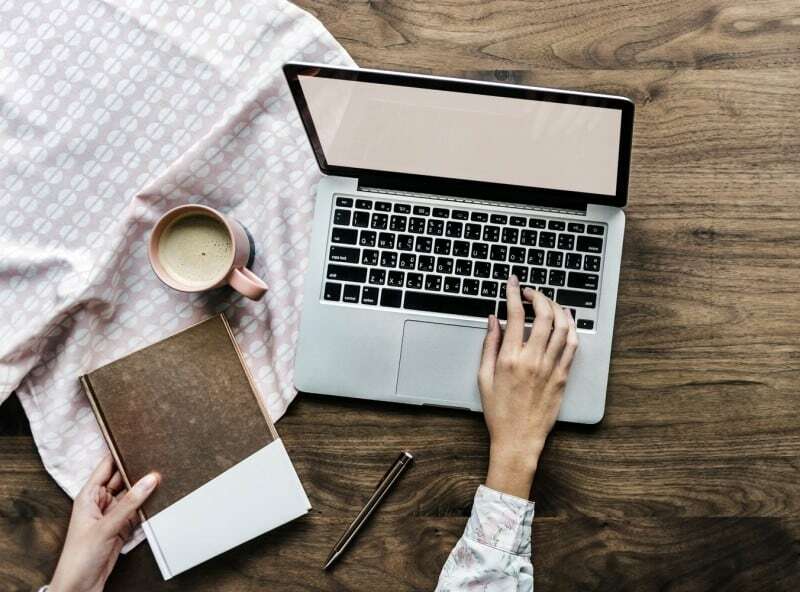 Here’s a daring question for you: have you ever thought about taking a leap of faith and actually starting your own blogging business? You know, the one that you keep daydreaming of, but not actively working on? Today, the Internet has created so many opportunities for us. Monetizing hobbies and interests have never been this reachable in the past, and yet the majority of people sticks to their role of passive digital consumers, instead of telling their own stories and potentially earning money by doing what they love. If you feel like you’re on the crossroads and could use some inspiration towards pursuing your blogging dream, we invite you to check out Sazan Hendrix’s (sazan.me) work. Intelligent, charming, witty, and beautiful, Sazan Hendrix has started her blogging journey back in 2011 while studying Radio, Television, and Film at The University of North Texas. Since then, she has worked hard to bring her business to its feet, while also educating others about how to be their own boss. Sazan Hendrix started her own blog in college, just for fun. As she herself admitted, growing up in a more traditional household left her room to creatively experiment in the digital space and find something to do online. 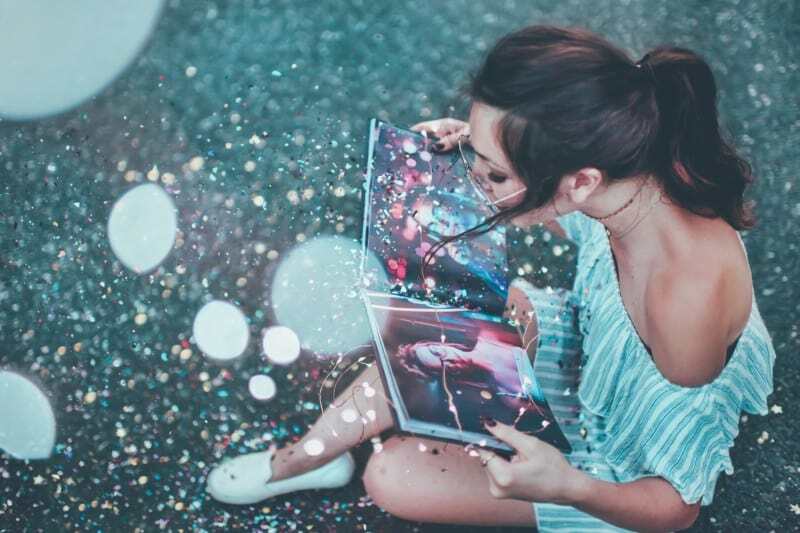 She first started her own blog called The Spaz Attack, but after two years – she decided to rebrand it a bit and turned it into Spaz Magazine, which was more of an editorial styled blog. After graduation in 2012, Sazan decided to move to LA and pursue her dream of becoming a TV host. 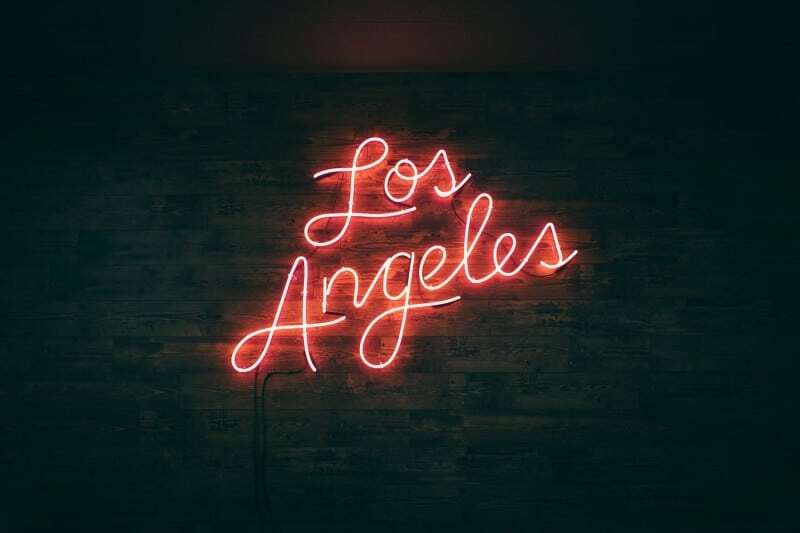 With a lot of self-confidence and enthusiasm, she made a deal with her parents: if they were to support her for six months in LA, she would give a 100% effort to make it as a small fish in a big pond. However, it was easier said than done. Despite Sazan trying her best, despite her undeniable skills, creativity, and capabilities – opportunities just weren’t opening for her. It was heartbreaking to realize the world is denying her, even though she has given it all. Just like in any situation in which she feels helpless, Sazan turned to faith. She was looking for an answer on what to do. Moving back to Texas didn’t feel right, but she has reached a dead-end and didn’t know where to go from there. Sazan described her finding a true calling as a spiritual experience, as she heard a voice of God telling her to commit to a different career path and devote her time to blogging. At the time, Sazan’s blog was not polished, it was not updated, but she decided to roll up her sleeves and give it a go. On her venture, Sazan had the full support of her life partner, Stevie Hendrix, who initially took the role of the photographer, manager, and editor within Sazan’s business operations. The couple decided to turn it into a collaborative project and work together on making the most of Sazan’s online presence. At first, Sazan did not know much about the digital world, but she knew she was taking a longer, yet solid path to success. This journey helped her not only to build a personal brand from scratch and reach out to millions of people across the globe but also to grow and nurture her love for telling stories and communicating with strangers who can easily become friends. Sazan and Stevie realized there was an opportunity for the both of them to earn some side money, especially because social media was on the rise. Turns out, blogging became a full-time job, filled with love and inspiration. What Sazan did next was truly remarkable: she identified her target group and saw business potential. She reached out to small artisans and designers on Etsy and offered them promotion deals in exchange for money. She would promote their product on her blog, while they would pay for the exposure. With time, brands began offering Sazan their products and made unique deals with her as they were pleased with the results and the overall collaboration. Gradually, Sazan built an amazing base of followers. It was a win-win situation and things started folding up for the better. As Sazan continued to build her online image, she gained recognition and became a recognizable face and name in the world of fashion and beauty. This is why agencies started contacting her for little campaign deals. She worked with them non-exclusively, which enabled her to cast a wider net. 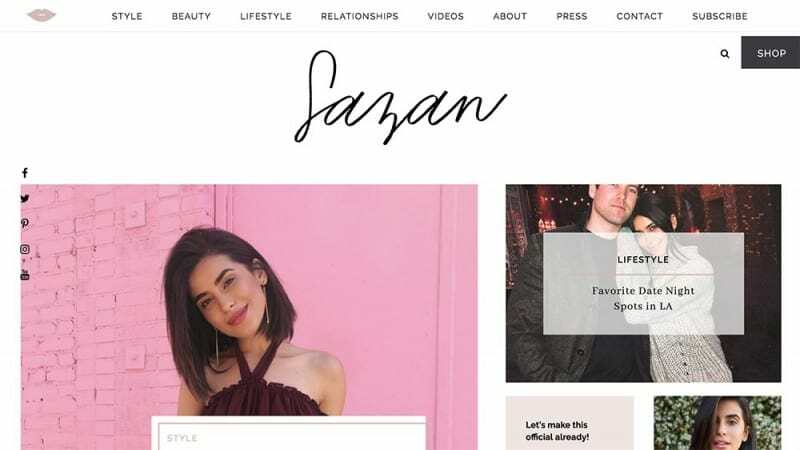 In 2014, Sazan decided to rebrand again (this time to sazan.me), as she has managed to build a more intimate and close relationship with her audience. She wanted to share more details about her personal life and open up to people. Being completely transparent with her readers allowed her to communicate more about who she is and what her values are. This approach led Sazan to great success. As the matter of fact, producers at E! reached out to her and invited her to play a part within their fashion police for a certain event. After the event, Sazan felt fulfilled and content, but she knew her blog gave her much more joy compared to the hosting role. Having her own platform enabled her to tell her stories and connect with others. This was a clear sign she was on the right path. In 2014, Sazan launched her YouTube channel, even though she knew little of this platform at the moment. Video format allowed her to show a different side of herself and connect with her audience visually, which added another layer of value to her work. In 2015, she launched a mini-series of educational videos titled BYOB (be your own boss), in which she explained the most important things she has learned regarding branding and online reputation management. At the end of 2016, Sazan launched her business called the Bless Box, which is a hand-picked lifestyle package delivered to your doorstep. It has a nice element of warmth and surprise to it, given the fact Sazan personally chooses the content for each box, creating a lovely experience for each subscriber. Sazan has definitely shown us how focus, commitment, and determination pay off and how great things happen to those who are patient and hardworking. Even though she did not know much about how to start a blog, Sazan took a leap of faith and kept pushing forward. Thanks to this, she has managed to put an equality sign between her paying job and her inner calling, which isn’t something most people can boast about. Doing something that you love and getting paid for it – isn’t that something we all dream of? However, your dreams might not be so far-fetched as they appear. It all starts with a greatly defined personal brand, a bit of faith, and a bit of courage. Too often, we feel sorry for ourselves and don’t pursue our passions because we discard the possibility of actually achieving our set goals. Sazan’s inspiring journey is a living proof of how plunging into the unknown can be rewarding and even life-changing. Now, we want you to think about the following: what is your untold story? What is your dream life you keep postponing, just because people around you aren’t very supportive of the idea that an artist/photographer/insert_profession_here, can succeed? Starting your own website is the perfect first step towards reaching your goals, no matter what they are. You can treat your blog as a fun hobby, but never underestimate its value and the possibility of monetizing it somewhere in the future. As for the domain name, you can count on .ME as the most personal online home for your website! Check if your desired name is available here and read more about the easy, code-free ways to create a website!